In these clips the historians featured share their passion for the subject and the satisfaction they get from sharing it. They offer a variety of perspectives on why and how they became professional historians and explain the scope and possibilities inherent in history that make teaching meaningful work. 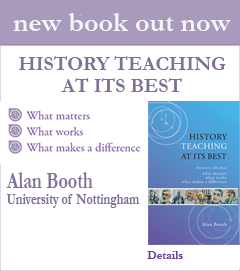 They emphasise that teaching history involves a conversation between teacher, subject and students that enriches all three. What stands out is their commitment to an endeavour that offers the possibility of transforming the lives of students and also their own professional lives. The aspirations for students are featured in more detail in Outcomes for students; those for themselves are further illustrated in What helped me develop and Advice to new teachers.